Home > 000111 > Personal Injury Urban Myths – The Phonebooth – The Other Side of the Story. 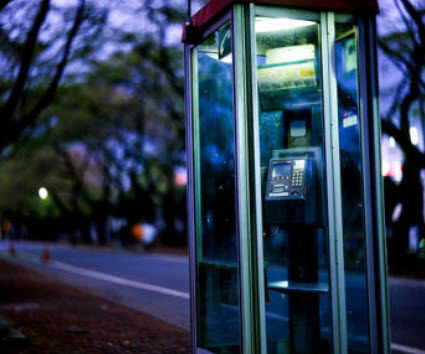 Have you heard the one about the pedestrian, who was severely injured in a phone booth by a drunk driver, who sued the Phone Company, Yuck, yuck?! This was a story blindly reprinted by the news media during the Regan Presidency. That’s when a lot of these “tort reform” ideas began to gain traction. Turns out that the drunk driver had little or no liability insurance. The permanently injured plaintiff was using the phone when he saw the car coming. He attempted to leave the booth, but the door was stuck in a closed position. The pedestrian was a “sitting duck”. “Discovery” revealed that several complaints had been filed by frazzled customers who had been stuck in that booth. handle such claims, was negligent or worse in contributing to the man’s injuries.